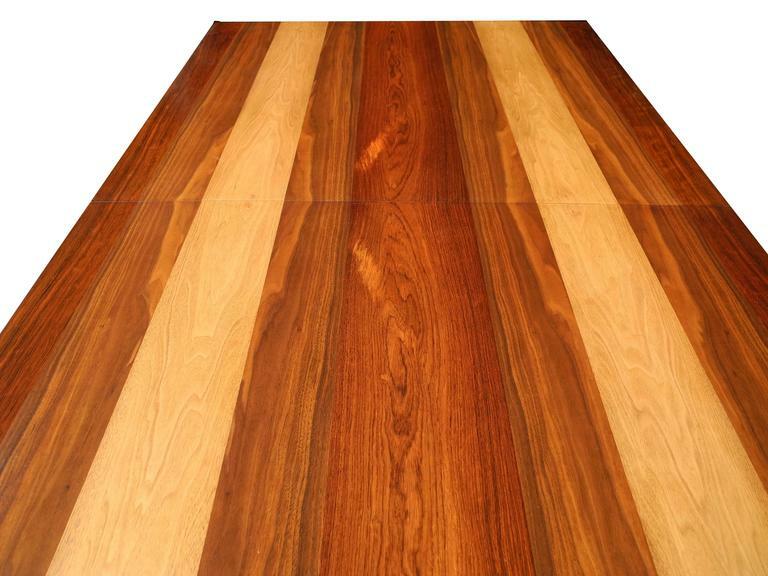 This table is a display of three wood types. 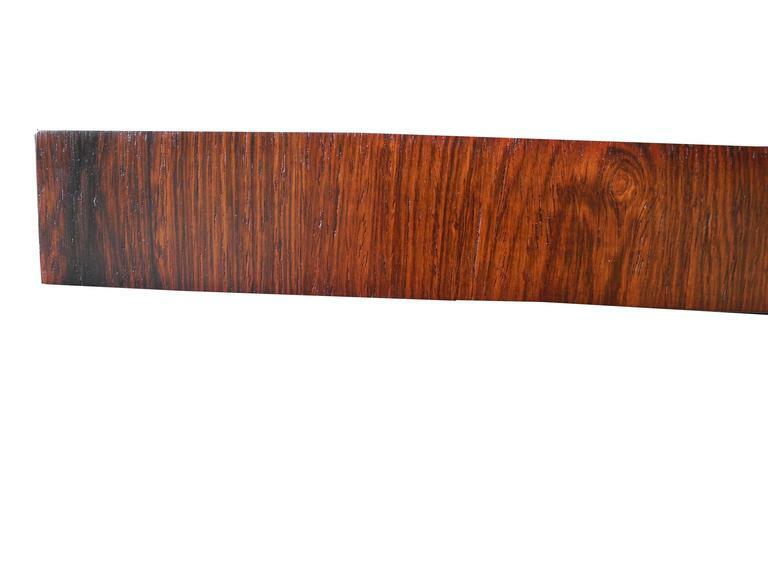 Rosewood, walnut and oak. It extends with two additional leaves. All have been refinished to match. It's all about the wood! Dimensions below are without leaves. Each leaf is 39 x 20. 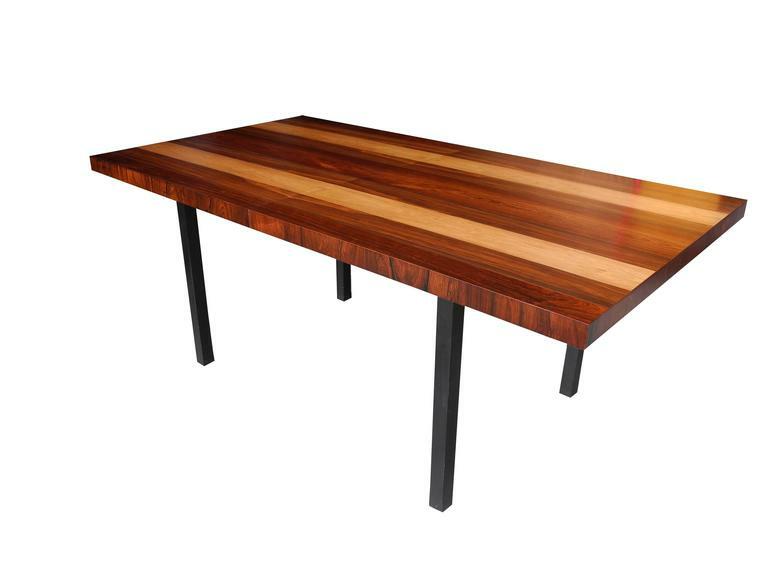 You can add an additional 20 or 40 inches to the width (length) of the table. 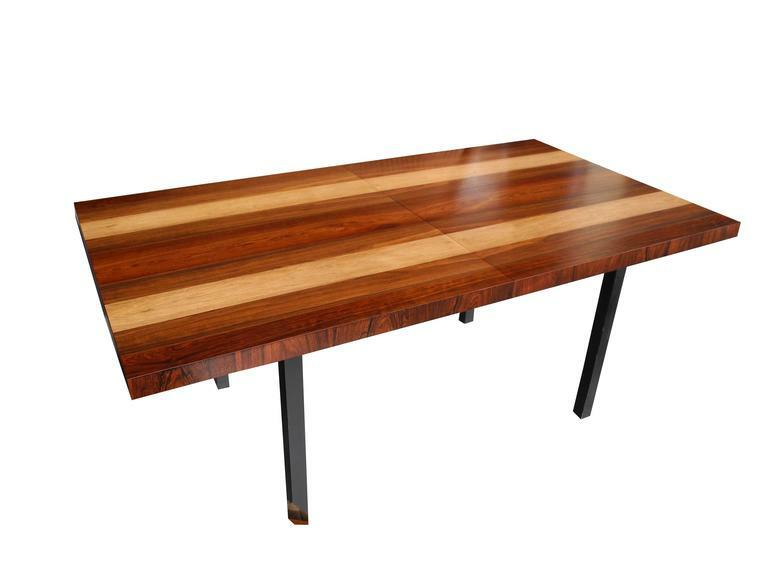 Striped multi-veneer table, including rosewood, walnut, and ash. 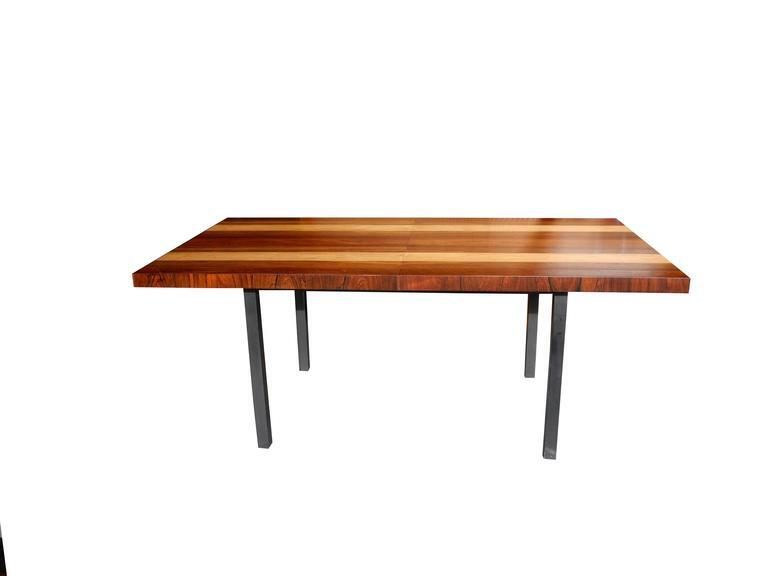 Two leave dining table that extends from 72" - 108". 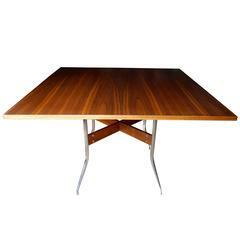 Beautiful burled olive wood dining table by Milo Baughman for Directional Furniture. Table comes complete w. two matching leaves measuring 19.5" x 2. 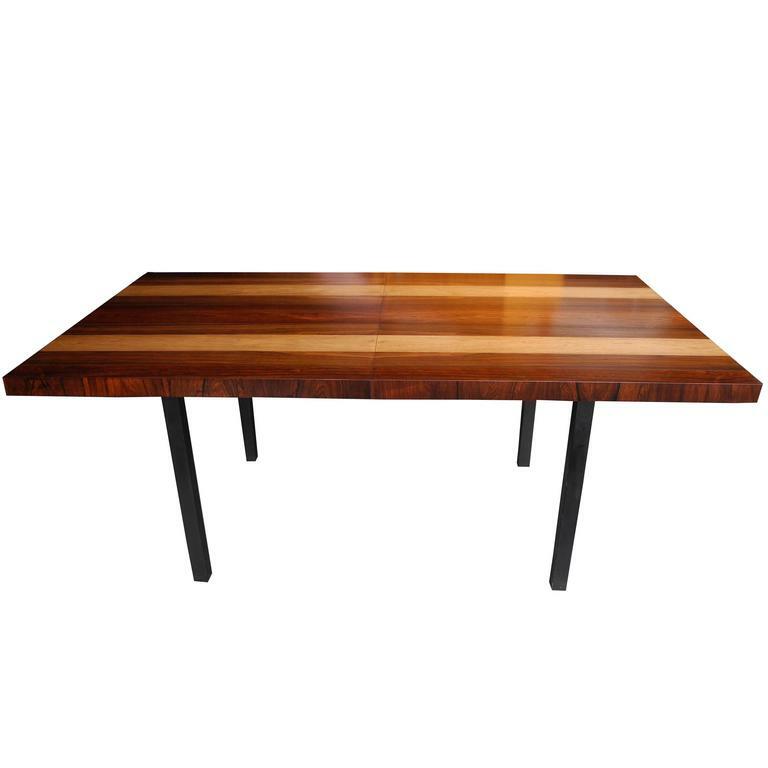 Mid-Century Modern ebonized frame with burl wood top Mid-Century Modern large dining or conference table with two 18" leafs. Stunning original condition.